MAXIMIZE YOUR POWER. 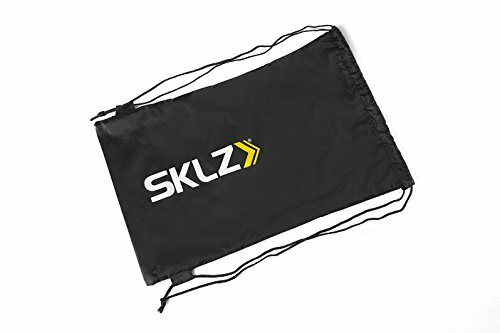 The SKLZ Dynamic Resistance Assistant Trainer helps athletes train to maximize strength, speed, and vertical jump, so they can become their best. Build strength and explosive power as you take your physical skill to the next level. TRAIN IN EVERY DIRECTION. Sports don’t take place in one direction, that’s why the Recoil 360’s adjustable belt has a unique free motion ring, meaning you can train with resistance at almost any angle. Be prepared for anything, or anyone that comes your way. TRAIN LIKE THE PROS . Used by collegiate, professional, Olympic athletes and coaches. The SKLZ Recoil 360, can withstand the rigorous training of world class athletes. With the sheathed flex cord, the Recoil 360 stretches from 8-22ft, yielding 15 to 50 lbs. 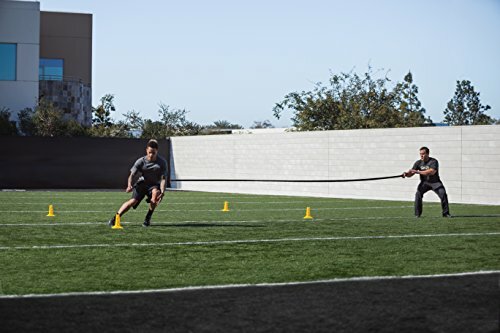 The SKLZ Recoil 360 Dynamic Resistance Assistance Trainer helps athletes build speed, strength and power. 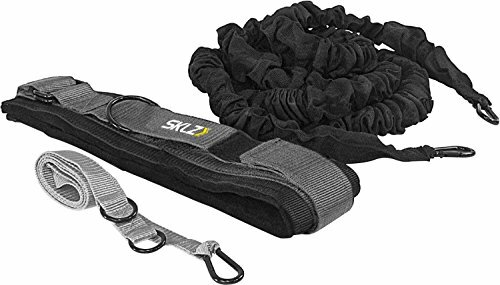 Create more explosive movements as you build tension in the ultra-durable, sheathed flex cord. With an 8-22ft. span and a unique free motion ring around the belt, you can train in any direction. 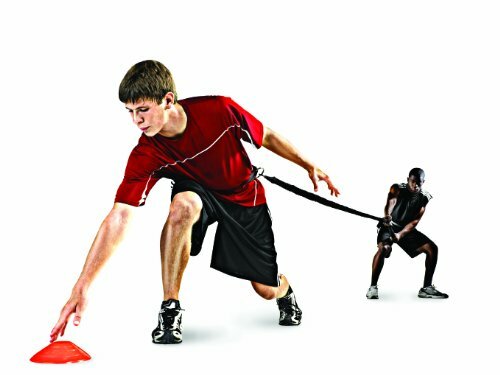 Resistance and assistance training is key to maximizing power, speed and vertical jump. 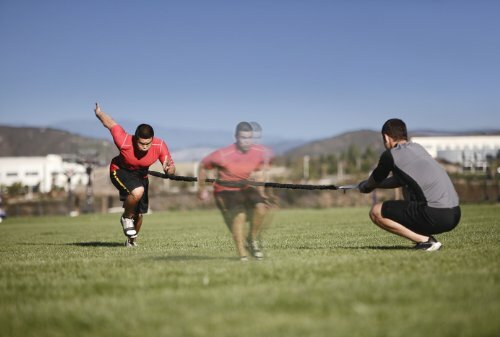 The SKLZ Recoil 360 trains athletes in every direction, with or without a partner. Run drills with your coach, teammates, or solo as you prove your dedication to your sport. Find more leg drive and jumping power as you train with up to 50 lbs. of resistance. Designed for solo use or for training with a partner, use resistance and over speed training to maximize your physical power and muscular strength. 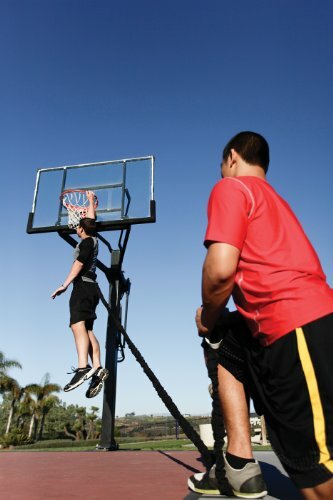 SKLZ is dedicated to preparing athletes to be ready for their sport and reaching their goals. VERSATILE TRAINING. Run drills with your coach, your teammates, or solo as you prove your dedication and find your drive. Designed with enough durability for even the most powerful athletes, the SKLZ Recoil 360 will take your training to the next level. Bring diversity to your training as you practice every type of exercise for almost every type of sport. GO FOR YOUR GOALS. SKLZ is dedicated to helping athletes of all levels reach their goals. Give yourself the tools you need to succeed. 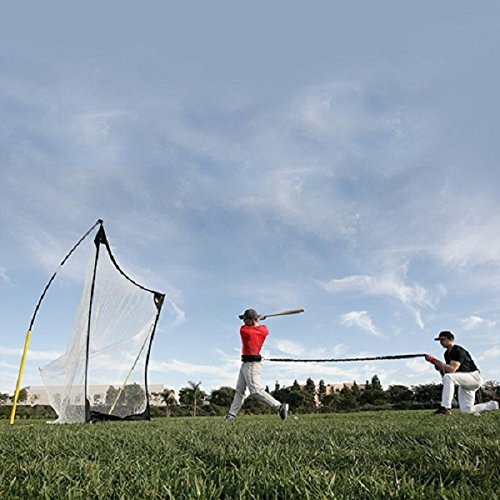 No matter your sport–baseball, soccer, football, basketball, tennis, rugby, lacrosse–the SKLZ Recoil 360 Dynamic Resistance Assistance Trainer will help you improve your overall athleticism with increased power, explosiveness, and strength. Must be at least 18 & over to purchase or have parental consent.